The TUT coach is arguably his team’s biggest star. From his famous one-liners, “We are not a one-man team”, to his unique victory celebrations with his support staff, Moloi is the headline act. It is this energy that he brings to his team and relies heavily on pre-match motivation and post-match analysis to get his team playing his way. Equally, he is desperate for success and wants another trophy after last year’s final defeat to cross-town rivals UP-Tuks. The fact that TUT have been forced to play all their matches away from home this season has irked Moloi and will want nothing more to show his critics that even without playing a single home game his team still managed to secure the title. The contrast could not be bigger between the two coaches. Whereas Moloi is the showstopper, Haskins prefers to shun the limelight, allowing his players to take centre stage. The 36-year-old has, of course, had his time in the sun after enjoying a 12-year professional playing career with PSL teams Moroka Swallows, Bidvest Wits, Jomo Cosmos and SuperSport United, while he also spent time in the United States. Haskins, therefore, possesses all the technical knowledge required of a top-quality coach, while his time spent as anchor of the Sunrise Sports Show on E-tv allows him to communicate his message clearly to his players. Haskins believes his best quality is his patience with his players, which allows him to analyse the game with a clear mind. 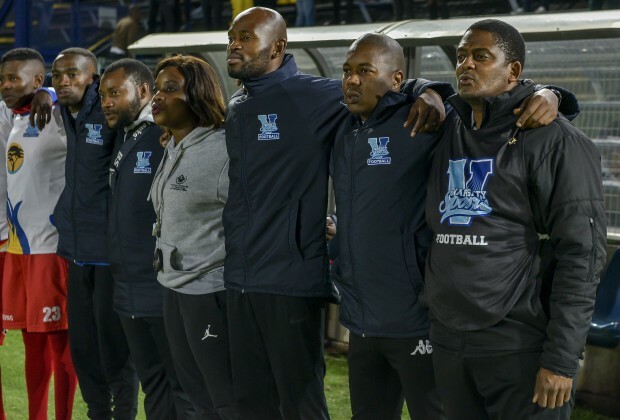 Having taken this Wits team all the way to the final is already a major achievement. The much-anticipated final kicks off at 18:00 this evening. Dreaming Big As Varsity Star Gets PSL Chance!